The widespread adoption of Android KitKat operating system comes with a key advantage – the possibility of launching cheap Android phones with support for WhatsApp and other applications at less than Rs 2,000 in India. With new models coming thick and fast, particularly from Intex, we give you a constantly updated list of the cheapest phones in India with WhatsApp support. We do not recommend buyingn Android Gingerbread models (version 2.3), or models with less than half a GB (512 MB) of RAM for KitKat or those with less than 3.5 inches of display. For the record, WhatsApp is supported on Android 2.3 Gingerbread, but we’re not sure how well it will run on a 256 MB phone running Gingerbread. A basic 2G-only phone. The reason why it’s been mentioned here in this list is that it is being sold by Jivi, which is a known brand in the entry-level market. Jivi phones are usually reliable, especially the CDMA devices that we’ve tested. The reviews of this phone have also been largely favorable. However, RAM is a miserable 129 MB. WhatsApp can be installed, and the touch is reported to be of good quality. As a basic mobile under Rs 2,000, this phone will do. But if you can afford it, go for a model with at least half a GB of RAM. Datawind is a brand specializing in entry-level phones. RAM is 256 MB and internal memory is half a GB. The phone is the cheapest one with specifications clearly revealed. We would suggest this phone over the others that are priced cheaper. 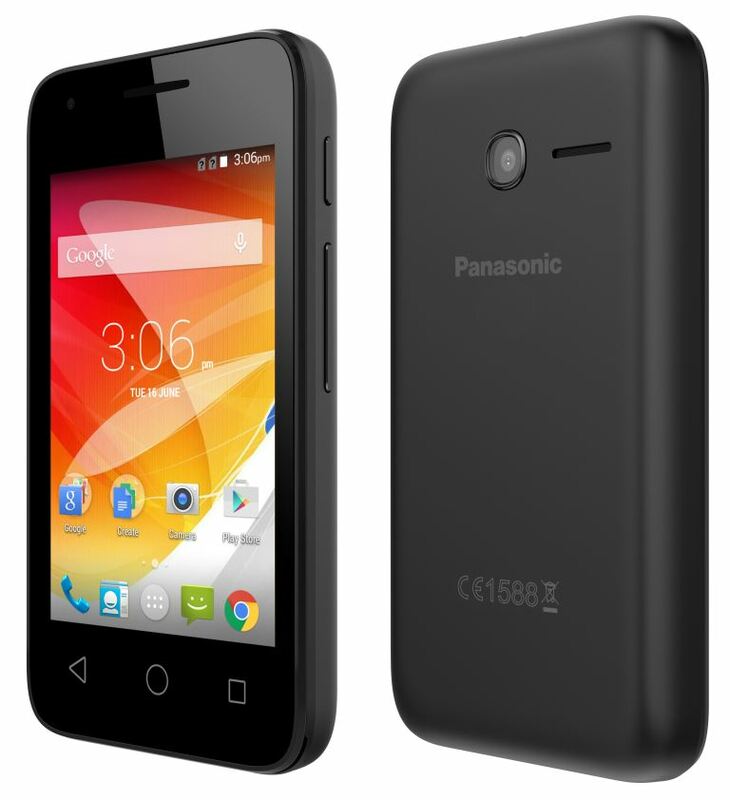 The cheapest 3G smartphone by Panasonic, and perhaps by any Japanese brand in India. The Love T10 is targeted at the first-time smartphone user. It comes with a 3.5-inch display, 3G, Android 4.4.2, and 4GB internal memory. It also has a 2MP camera & houses a battery capacity of 1400mAh. The Panasonic LOVE T10 supports 21 Indian languages including Hindi, Gujarati, Punjabi, Malayalam, Tamil, Telugu, Kannada, Oriya, Bengali, Assamese, Marathi, Nepali, Bodo, Dogri, Konkani, Urdu, Maithili, Manipuri, Sanskrit, Sindhi & Santali. A basic mobile from Intex. It is available at just Rs 1,900 from Amazon, though it is priced at Rs 2,500 at other places. The RAM and internal memory are not disclosed, but the phone claims to support WhatsApp in the description. One of the recent launches, the phone is mouth-droppingly cheap and offers nearly everything — Android 4.4, 4-inch display, a 5 MP camera, dual-SIM and 3G, all for Rs 2,500-odd. On the downside, the RAM is only 512 MB, but still for moderate users, this should work. User response has been decent too. No one has complained of big problems. Battery is 1600 mAh, which will last one day of moderate usage. The audio jack is 3.5 mm, which means most handsets will work. The only downside is that if it stops working, locating a service center could turn out to be difficult. The newly launched iBall Pearly D3 is without doubt the cheapest Android phone in India with WhatsApp support. The 3-inch phone actually comes with WhatsApp already installed, and costs just Rs 1,869. It has an HVGA IPS display, a 1 AH battery, dual-SIM support and a 1.3 MP camera at the back. On the missing list are 3G and a front camera. The phone comes with FM radio as well. Priced at just Rs 1,995, the Gfive Spark A1 comes with Android Gingerbread OS, supports dual-SIM and has a single-core 1 GHz processor. It has a 2 MP rear camera. We are not sure about internal memory for the version sold in India. But globally, the phone has a built-in memory of 512 MB, which is enough to support WhatsApp. In addition, GFive is a relatively better known brand than many of the Indian names in the low end market. This phone, with a 3.5-inch display and a 1.3 GHz dual core MediaTek processor, is only in this list because it runs WhatsApp. It is not a great phone at all. Doesn’t have 3G. But what it does do is run WhatsApp. There’s only around 80 MB of space for installing apps (after Google Play). So you can install WhatsApp and perhaps Facebook. That’s it. The good thing is that it runs KitKat, and not Gingerbread. But 256 MB RAM is not so great for KitKat, and the phone lags now and then. For WhatsApp, this will do though. Positives: Among the cheapest QWERTY phones in India. The phone has 256 MB RAM and runs Android 4.2. Not exactly the best configuration. But if Qwerty phones are your thing, you can consider this. Processor is slightly old, 1 GHz dual core. This one has one of the most decent set of specifications among sub-Rs 3000 models in India. It has 512 MB of RAM, 1 GHz dual-core processor, a 3 MP camera at the back, Android KitKat, dual-SIM support and so on. However, compared to the Intex Aqua 3G Pro, this model does not have 3G and comes with a poor resolution display. While the Intex Aqua 3G Pro (given below) has a 0.4 MP display, this one has 0.15 MP display. The display is a big factor why we would not recommend this phone. The Intex Aqua 3G Pro is among the most costly phones in this list. However, it has been included as an option for people who would not mind spending Rs 3,500 in return for getting a phone that can be used for purposes other than just WhatsApp messaging. The phone comes with Android 4.4, 4 GB of storage, 512 MB of RAM and a 0.4 MP display. Camera is 2 MP at the back and 0.3 MP at the front. Battery capacity is 1,400 mAh, which should be enough for one day of moderate usage. Perhaps the cheapest phone in India with WhatsApp support. The Forme P9, priced at Rs 2,075, comes with Android 2.3, a single-core processor, dual SIM, and 256 MB of RAM. It is powered by a Spreadtrum (Chinese) processor. We are not sure how well it runs, but according to customer reviews on ecommerce websites, the phone runs very well. At 2075, the Forme P9 is only as expensive as the low-cost Mozilla phones. Mozilla phones too support WhatsApp through a third-party interface (application). The Olive model is similar to the the Forme P9, except for the fact that Olive is a slightly older brand in India and possibly has better service support. Price Rs 2,222. Adcom Smartphone A 350(i) has slightly better customer feedback, but is priced at Rs 2,640. It too is powered by Gingerbread. The most notable aspect of the ZTE KIS Flex V793, priced at Rs 2,800, is that it is the cheapest phone with WhatsApp support from an international brand. Otherwise, specifications are similar to the others – 256 MB of RAM, single-core 1 GHz processor, 3.5 inch display. It also has 3G, but we’re not sure whether it is the fast version or the basic 384-kbps version. Since it’s a ZTE phone, it is likely to have slightly better quality than relatively less known brands. This is the only Jelly Bean phone in this list, and we’re including it only because it’s from Micromax, a brand that has it’s own set of followers. For Rs 3,375, you get 3G, a 1 GHz single core processor and a 3.5 inch display and 512 MB of RAM to support the Jelly Bean.